Most of us are familiar with lymphedema, which is a build up of lymphatic fluid in the arms and legs. Usually, lymphedema is a secondary issue that arises after cancer treatment or lymph node removal. 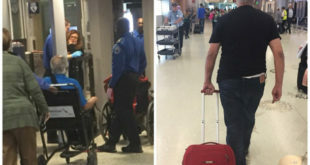 Lymphedema is a dangerous disorder and needs to be treated by a certified lymphatic therapist, who is trained to properly massage the body and lymph nodes to remove the excess fluid safely from the limbs. Lipedema, also known as lipoedema is very often confused with lymphedema, but the two ailments are of completely different makers and causes. 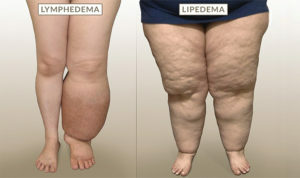 Lipedema is a painful syndrome where pathologic fatty deposits accumulate in the lower half of the body. Women are more susceptible to the disorder and often are unfortunately underdiagnosed or misdiagnosed altogether. The fatty deposits in the legs are not the same as typical fat that runs throughout the body. The cause is widely unknown, but it is thought to be acute and possibly related to obesity in some cases. It’s often referred to as “painful fat syndrome” since it causes a great deal of discomfort to the individuals suffering from the disorder. Conservative approaches usually begin with being treated by a lymphatic therapist. The therapist will try and massage out the deposits much in the same way as they do with lymphatic drainage. Consequently, patients with lipedema often have the underlying lymphatic fluid build up in the legs as well. So the lymphatic therapist can offer some relief in these situations. Compression garments can also help to alleviate some of the symptoms associated with the disorder. A more aggressive, but stabilizing treatment is liposuction (a form of liposuction that doesn’t disrupt lymphatic fluid), which removes the fatty deposits from the body permanently. 18 million women in the US have lipedema, and unfortunately, it can cause physical debilitations and physiological distress. Dr. Richter focuses on the newest developments in minimally invasive vein treatments. Dr. Richter received his medical degree in Argentina in 2003 from Universidad Nacional de Cordoba . He then completed a year of general surgery and a 3-year Fellowship in vein and lymphatic disorders in 2007. As a venous and lymphatic medicine specialist, he is dedicated to treating varicose and spider veins and their underlying causes. With over a decade of experience in the specialized medical field of diagnosing and treating vein disease, Dr. Richter was one of the first doctors to use lasers to treat a variety of vein diseases in Argentina. Certified by the American Board of Venous and Lymphatic Medicine and an active member of the American College Of Phlebology , Dr. Richter has also accumulated an impressive list of qualifications and educational accomplishments during the course of his career. We Offer FREE Vein Screenings! For more information, please visit their website at veincenterflorida.com, or call (941) 907-3400 to schedule your consultation.